“Every writer must be saying this, at this stage," says Sanjay Manjrekar. “When you finish a book, you have no clue how people will perceive it." 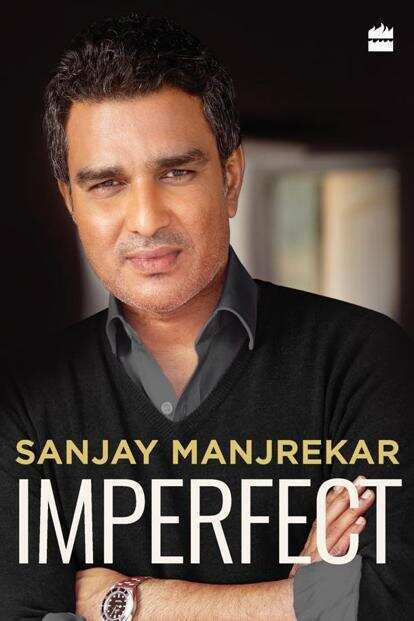 The former international cricketer, Mumbai captain and now television commentator and columnist, says he is overwhelmed with the reaction to his autobiography Imperfect. “The only confidence I have is people have liked my style and simplicity and that I am not trying to impress," says the 52-year-old, who played 37 Test matches for India between 1987 and 1996. What was the motivation for writing the book two decades after you retired? The idea came from people around me who know me well. They felt that there was a book inside me, about my career and life post retirement. It’s also the fact that I now write easily. When I retired (from cricket), an article of 300-400 words would be an ordeal. But this has come after a lot of syndicated columns and people like (ESPNCricinfo’s) Sambit Bal and Sidharth Monga, who urged me to write. It’s not a cricket book but a cricketer’s experience of life. Somewhere, it has a learning of what made me click and fail, my strengths and weaknesses. I have written it as an obligation to coming generations and as a chronicle of my experiences. Why is it called ‘Imperfect’? Monga suggested it and I thought it was excellent because it’s about a man trying to achieve perfection; anyone who tries that is by default imperfect. It’s my nature. I am constantly trying to measure up to my standards and of self-scrutiny. It must have been tough to write about the personal stuff—like about your father (cricketer Vijay Manjrekar) and your difficult relationship with him. You don’t name him in the acknowledgements. I am quite happy sharing, though not the very intimate details. What’s private is relative, isn’t it? I am happy to talk about my income, for example. I am open about these things. Talking about my father was not difficult though it was not part of the plan. But it came when I sat down and thought of the impacts in my life, the people who made an impression on me. It was not me attacking my father. I laid out my facts. Lots of children would see their father in mine. My father was imperfect too, so why hide it. You had greater respect for the Mumbai team than the national team? Yes, at that time. There was more of a common goal, a genuine team spirit when you played for Mumbai. Players wanted you to succeed. For the Indian team, it was a bad time when I played. In the sense, it lacked self-esteem, especially when playing overseas or against stronger teams. It’s all about “we will not win; so might as well be a star in a losing series". It was a lot about individuals and therefore unhealthy. You also have a lot of respect for Imran Khan and the Pakistan team from the 1980-90s? Yes, in comparison with India, Pakistan didn’t have any great advantage but competed better—even now—overseas. They had natural fast bowling talent and a great leader. Leadership is the key. No one quite measured up to Imran. They (Australia, South Africa, to an extent England) are predictable, in a certain way, like a machine. The captain does not make much of a difference. India and Pakistan are temperamental and emotional. Khan had the knack of bringing the best out of sensitive and emotional people. Mumbai had great leaders too, like Sandeep Patil, and I hope I was the same. It was said that your decline as a player had to do with overanalysing your cricket. Would you agree? That is my problem with most things. I never took things easy, always tried too hard. I can control it sometimes but it does not vanish, this over-trying. If I had to do it all over again, I might do it differently. I would be more proud of my talent and not focus on my flaws but more on the gifts that I had. For example, I would have been proud of a century I scored and not focused on the seven-eight false shots I played. It’s not entirely clear whether you loved cricket or not? No, I do not have a love-and-hate relationship with cricket. It was more a ticket to fame because of that mahaul (atmosphere) at home. At the end of it, there is recognition and fame. I saw how nice it was with my father, with fame, when people like (Sunil) Gavaskar and (Ajit) Wadekar would come home and how people reacted to them. Cricket was the logical, obvious and convenient path to be famous. You are not critical of people and don’t take names often, like the unnamed batsman who refused to take strike against Wasim Akram. Were you consciously trying to avoid controversies? I felt obliged to record facts and I can’t live a lie. People are happy to live a lie in India. If there is a great person, no one talks about their flaws. That’s the disservice we do. Steve Jobs’ book is an excellent example of someone who was a genius but has a lot of negative things as well. These (great) people have flaws. The purpose was to show what happened. It wasn’t important who did it, because I was right there. A lot happened in private and that’s a terrible things to do (to write about it), betraying the confidence of the person. Also, there is little mention of match-fixing? I am not an expert on that. The way it panned out, nobody has been caught and nothing has been proved. People have filed cases against the ban, some of the bans have been lifted...it’s all a bit of a haze. I didn’t write anything I wasn’t absolutely sure about. For example, (Hansie) Cronje confessed. If that had happened in India, I would have talked about it. Not many people write positively about Mohammad Azharuddin now. Yet, you seem genuinely fond of him. Every person, in life, I see their strengths and weaknesses. If he was not a natural leader, there was a human side to him that was kind and charitable, which was a great quality. It’s one thing to give someone a bat or play a charity match. But to take money and hand it out to someone (like Azhar did, according to the book)—that should get some recognition and praise. You have been cheeky in some places (‘I was batting unnaturally now, like how English batsmen do’), but one feels like you held back on the humour? I am full of it (humour). I could do that the next time, maybe. In a serious analysis, I am happy to laugh, so I have tried to be smart and cheeky. I was guided by the need to be truthful and I knew what would interest my audience.